Drones are everywhere. Well, not really, but as word gets out about this awesome deal from StackSocial, they will be. We’re talking about a flying drone with a camera for $69. That’s a savings of 53% off the full price of $149. The HD version is currently available for pre-order as well. If you’ve ever wanted to get in on the fun of flying a drone around and recording stuff, now is your chance! Don’t wait, though, because this deal is only available for a limited time! 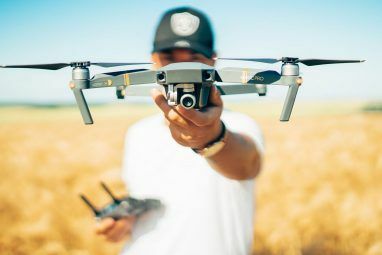 Head over to StackSocial and purchase a Limited Edition Code Black Aerial Drone with a camera while you still can. When the deal is gone, it’s gone! The Limited Edition Code Black Aerial Drone is packed with all kinds of good stuff to make the experience of flying super fun. You’ll be amazed at the cool footage that you’ll be able to record with it. To start with, this is a quadcopter, which seems to be the design on which most drones are based. This allows the drone to perform complex moves like mid-air flips. It also offers six axis control, which will let you make some really cool looking moves with just a tiny bit of practice. As far as the size of the drone is concerned, it’s small enough to fit in your hand. Precise dimensions are 3.25 × 3.25 × 1.25 inches. This means it’ll be easy enough to carry around with you, so you can go for a drone flight at any time! As for the rotor, it’s 2.17 inches in diameter, which keeps with the small, streamlined look of the device. 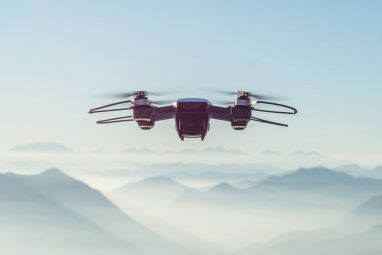 A key aspect of any drone is how quickly it charges versus how long it can fly. In the case of the Code Black, you’ll get about seven minutes of flight time after 30-40 minutes of charge time. It charges via USB, so you can plug it into a laptop or computer to keep it charged while you’re out somewhere flying and recording video. The camera records at a standard definition resolution of 720 × 424. For still images, it captures at 3 megapixels. This is not top-of-the-line in terms of video and photo resolution, but it will still product fantastic looking photos and videos, and when you consider the incredible deal that you’re getting on it, you can’t really complain. 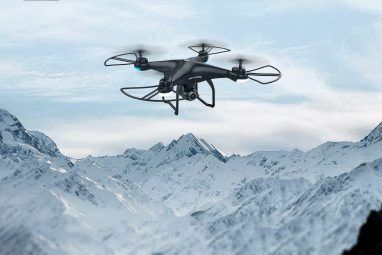 There’s a HD version which is available for pre-order, and if you insist on HD video recording, there are a few alternatives like the 180 QX Drone and Panther Air Drone. When you order it, make sure to also grab 4 AAA batteries for the remote control and a MicroSD card for capturing photos and videos, as they aren’t included in the box. There are a few reasons that this is the perfect drone for beginners. First, an included blade protector will help absorb any impacts that may occur while you’re learning to fly. Breaking the blades and damaging the rotor is a quick way to put a stop to the fun, and this protector will help with that. Of course, you can remove it when you become more skilled! Another awesome thing about this drone for newbies is the fact that it’s ready to fly out of the box. This means you don’t need to do any tinkering or installation of parts. You just put the batteries in the remote and the MicroSD card into the drone and go. There’s also a beginner flight mode, which helps with the controls for newer flyers. For people using a drone for the first time, just keeping it comfortably in the air is more important than doing tricks, and this mode helps with that. Of course, there’s also an expert mode, so once your skills go up, you can flip over to that and go crazy! The great deal is also perfect for new flyers because they could crash it and break it, or they might find that flying isn’t for them. With the fantastic deal StackSocial is offering, you can jump into the world of drones without breaking the bank. You just might discover a new hobby. Don’t wait! This deal is only available for a limited time. 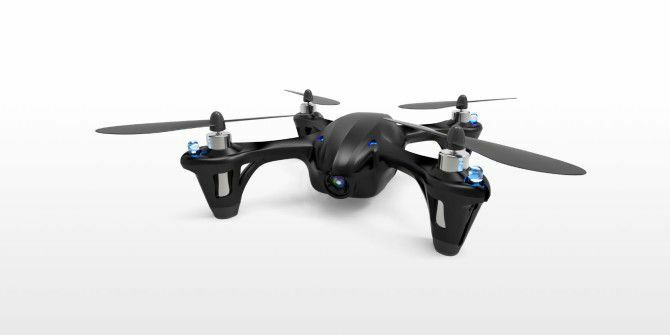 If you want to take home a Limited Edition Code Black Aerial Drone for the incredibly low price of $69, you need to act quickly! If you or someone you know has always wanted to fly a quadcopter with a camera, this is the one to get! Head over to StackSocial and pick one up while you still can! Only available in continental US.